Given the hectic life of modern day moms, it seems impossible to find time to squeeze in house cleaning around school runs, work, cooking for the family, ensuring homework is done etc. 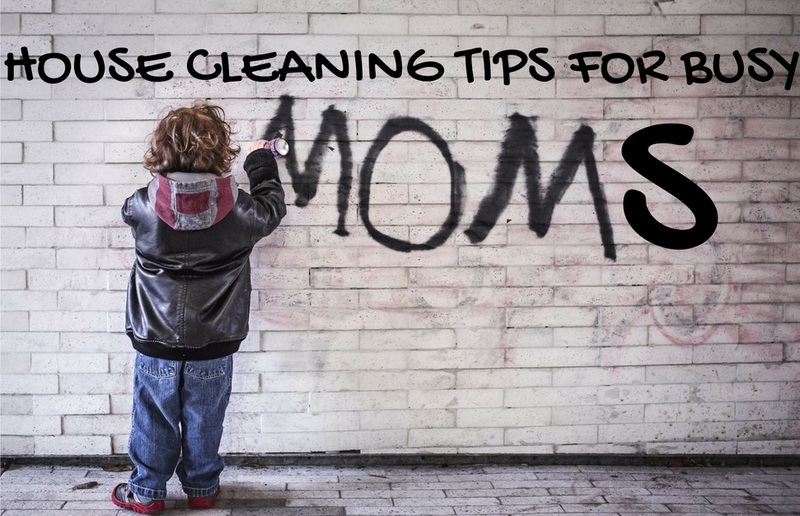 If you are a mother struggling for time, I’ve put together a quick summary of smart house cleaning tips for busy moms that should save you bags of time but still get your home looking fresh in no time. Don’t underestimate the advantage of having a handheld vacuum cleaner. Not only do they save time (i.e. no setup required) but they are compact and provide strong enough suction to handle a multitude of tasks around the home. Handheld vacuums are also great for cleaning kid’s messy snacks out the car- gone are the days of looking for an extension cable long enough for your bulky vacuum cleaner to reach the car. Make sure you keep your portable vacuum somewhere quite central for quick access- I keep mine in the cabinet under the stairs. It’s handy for sucking up all manner of dirt including pet fur, biscuit crumps, mud brought into the house by the kids. Use it to reach small spaces or cleaning dirt on the stairs. 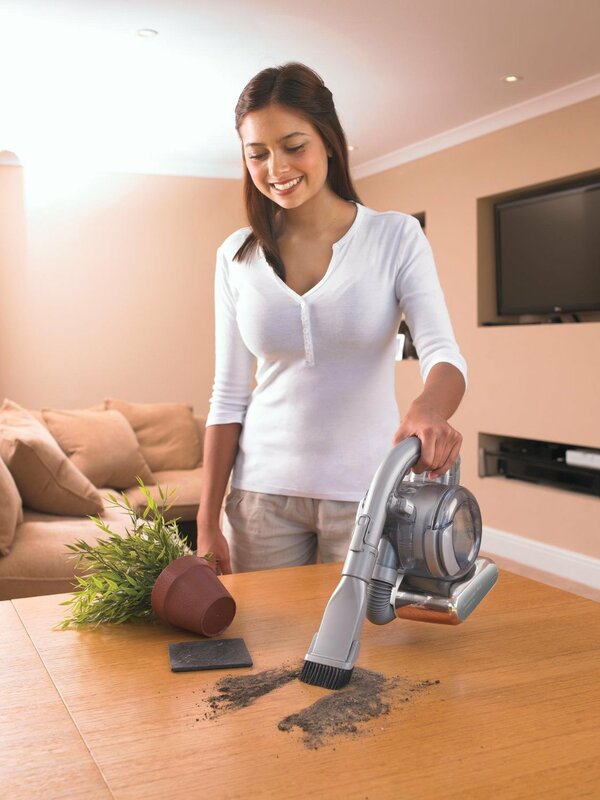 Modern portable vacuums come equipped with filters to catch dust and prevent it from escaping plus the bagless technology allows you to empty them efficiently without the need to use or replace paper bags. When you’re out shopping don’t succumb to fancy marketing slogans trying to convince you that you need a million different cleaning products to clean effectively. A multi-surface cleaning spray is just as good and can be used all around the house whilst saving you lots of time by avoiding switching between different products. A great product is Dettol Disinfectant Spray which kills harmful bacteria on both soft and hard surfaces whilst deodorising at the same time. Use it on kitchen sinks, taps and worktops, door handles, the bathroom and toilet, shower trays, upholstery, mattresses, soft surfaces, furnishings and even car seats. If you have sensitive skin you can opt for a hypoallergenic cleaner such as 7th Generation Free and Clear All Purpose Cleaner. Alternatively you can get a pair of good quality rubber cleaning gloves to protect your skin from perfumed cleaning sprays. Sanitising wipes are the perfect remedy for making light work of spillages, dried food stains and disinfecting kitchens worktops. 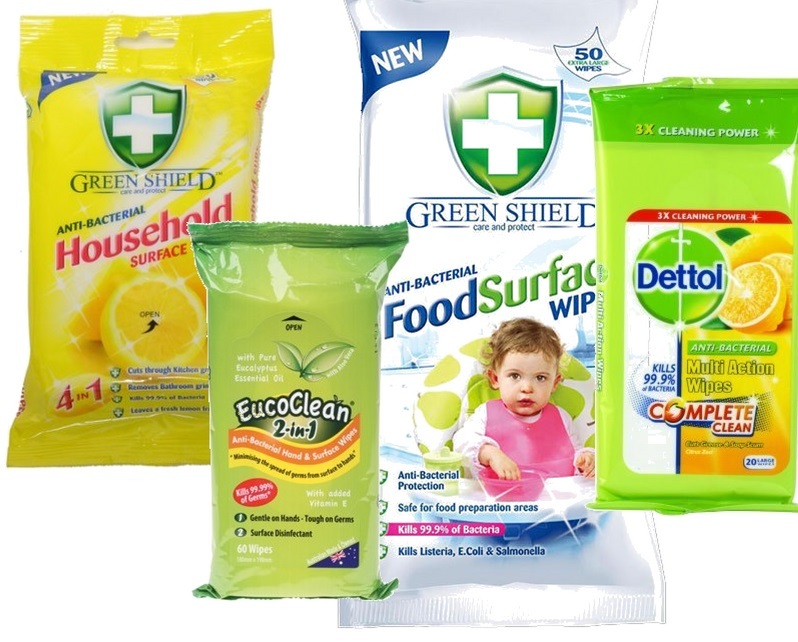 The wipes are pre-moistened with an antibacterial solution which makes them suitable for cleaning dirty sinks, door knobs, glass tables, toilet bowls and food preparation areas very quickly. Opt for thick quilted wipes which are less likely to tear when in use. Choose extra-large wipes that can cover a greater surface area and help you get through cleaning tasks much quicker. Buy Alcohol-free wipes (with Vitamin E + Aloe) for sensitive skin. These are kinder on hands. 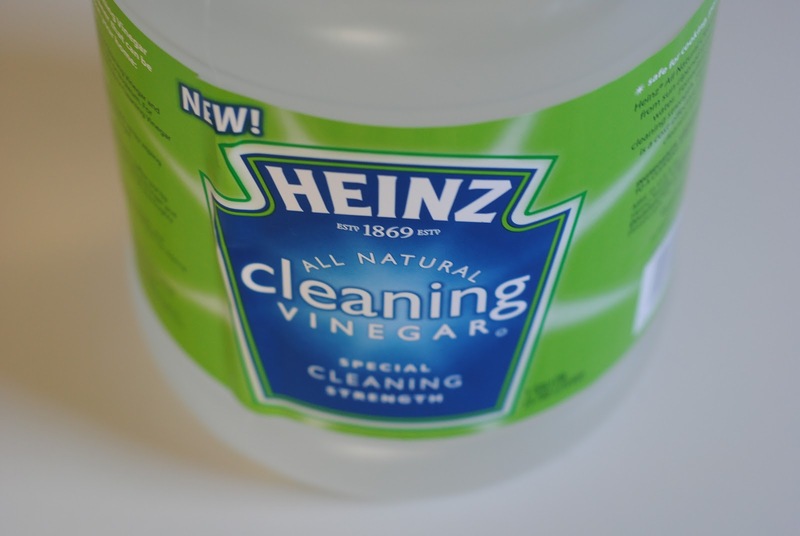 Vinegar works well on clothing stains- lightly rub a small amount directly onto stains. Half a cup of vinegar added to the rinse cycle will rejuvenate your clothes colours. Do you often get lint sticking to fresh laundry? Add a cup of vinegar to your laundry at the beginning of the wash cycle to keep them lint-free. Vinegar can even maintain your washing machine. All you need to do is pour a cup into an empty washer and let it run on a full wash cycle to get rid of clogs in the machine and hoses. With a busy schedule it’s easy to forget; so set a reminder on your phone to do this every month. If the shine on your kitchen taps is hidden by water stains, you can get rid of them quickly using 1 part vinegar to 3 parts of water. Greasy pots or oven trays can be soaked in the sink. Just fill the sink with warm water and add a tablespoon of vinegar. Sanitise wooden chopping boards, especially those used for chopping raw meat, with undiluted vinegar. If you have brass or copper utensils you can clean them by mixing 1 cup of vinegar and a teaspoon of salt. Wow, is there anything vinegar can’t clean? Sanitise the microwave by heating up a quarter part of vinegar to one part of water in the microwave until it boils. 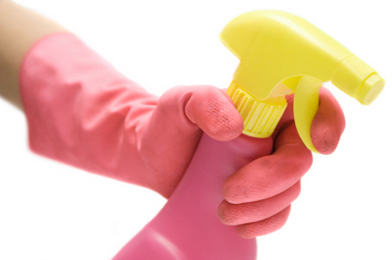 Mix two parts water with one part vinegar and spray it around the bathroom to kill bacteria. Mold and mildew is difficult to clean. For this I’d use a generous amount of undiluted vinegar applied directly at the source with a cleaning cloth then use a hard-bristled toothbrush to scrub it off easily. If your shower head gets blocked simply unscrew it using your manufacturer’s instructions and run a boiling mixture of 1:1 parts of water and vinegar. Job done! Wipe floor tiles with one cup vinegar mixed into a bucket of water (approximately 1 gallon). I’ll wrap things up by recommending that every busy mum needs a caddy to store their cleaning products and move them around the house. This alone will save you a lot of time knowing that everything is in one place rather than trying to figure out where you left your stuff during your last clean. 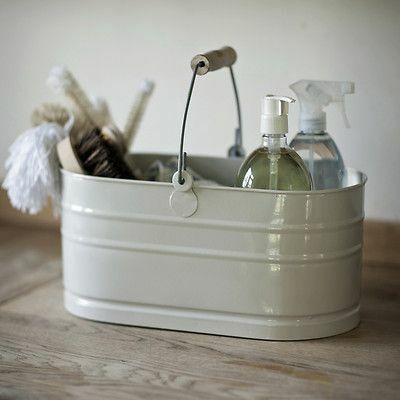 Purchase a sturdy caddy that is large enough to keep your products organised but light enough to move it with you from room to room. You’ll have the house clean quicker than you thought possible.